The 2008 financial crisis and its aftermath left record numbers of U.S. homeowners facing foreclosure. While the current real estate market seems robust, with reports of bidding wars and rising home prices in the Seattle area, the reality is that as of March 2013, Washington State had experienced a 154 percent increase in foreclosure starts over the previous year. Foreclosures are still happening, and they are accompanied by complicated legal issues that can challenge even experienced legal researchers. Washington Appleseed, a non-profit legal advocacy organization working to solve social and economic problems in Washington, recently published the Foreclosure Manual for Judges: A Reference Guide to Foreclosure Law in Washington State. The manual was written to help guide attorneys and judges through the maze of mortgage servicing, modification and foreclosure law. 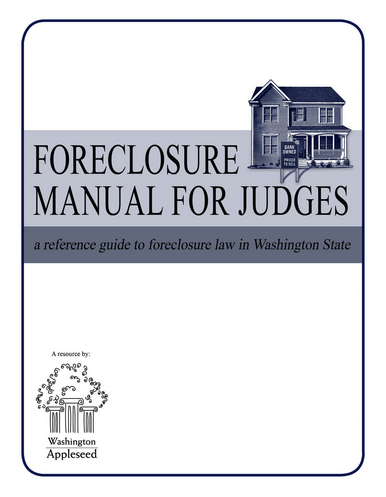 Although the target users are attorneys and judges, this guidebook is a great resource for anyone researching mortgage and foreclosure law in Washington. Research Tips, What Are you Reading? I like research. You probably do, too. I especially like research that requires some creativity and a fair amount of digging for background information on companies and people (in other words, I really like finding the dirt). My love of investigative research probably stems from spending too much of my childhood pretending my name was Harriet and dreaming of a career with the CIA. Alas, I did not become a spy, but I very much enjoy finding information that elicits a “you found this? !” kind of response. The Cybersleuth’s Guide to the Internet by Carole A. Levitt and Mark E. Rosch should get at least some of the credit for providing a good starting place for planning out a public records or other complicated online search for background information. 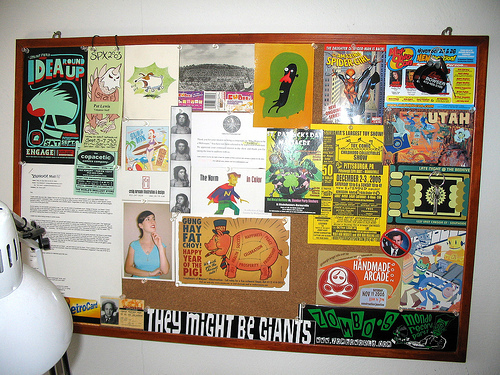 Being my first blog post for LLOPS, I thought I’d start out on a (somewhat) personal note. In my now seemingly long-past life as a practicing attorney, I spent a year clerking for Judge Block of the Eastern District of New York (Brooklyn and Long Island to those of you from NYC). The year was not without its challenges, but I’d do it over again in a heartbeat. From the outside a federal court can seem like something of a black box, and my experience from that year has helped to give me a leg up as a new law librarian, whenever I need to deal with docket questions, or pester court clerks or judges’ secretaries or case managers. 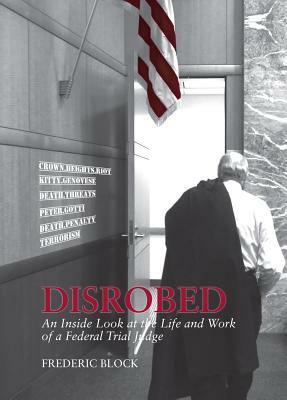 So I was particularly interested to hear that Judge Block recently published a book about his experiences on the bench (Disrobed: An Inside Look at the Life and Work of a Federal Trial Judge, Thomson Reuters Westlaw 2012), providing some insight into the inner workings of a federal court and the mind of a federal judge. In The News, What Are you Reading? Every morning I watch the Daily Rundown on MSNBC because I have a crush on Chuck Todd and because I have an even bigger crush on Luke Russert. At the end of each show they go around the table and do a “shameless plug”, which is the main motivation for this post. That and because Kim Kardashian has taught me the fine art of self promotion. The Public Law Library of King County has a new website! Have you checked it out yet? It does everything the old site did, but a little bit better. For example, did you know that we have a wealth of information on Consumer Protection on our website? Maybe you didn’t because in the olden days you would not have been able to drill our site “By Topic” from A to Z. Or that we have quick links to Limited Practice Officer forms so you don’t have to click seven pages deep on the WSBA website? That’s right! We have had a virtual facelift. I was going to sit here and take full credit for the whole thing, but in light of the fact that I am not big into lying or stealing spotlights (a lesson I learned from Snooki) I think this is the appropriate place to send a big ol’ shout out to Kim Ositis and Rick Stroup. Both of them worked exceptionally hard to keep the site development on schedule and delegate tasks to the rest of us here at the library. While a group effort, every big project has a leader, and it was definitely a well run operation. Or as library folks might say “an excellent collaboration.” Now go explore! Random Library and Legal Fun, What Are you Reading? 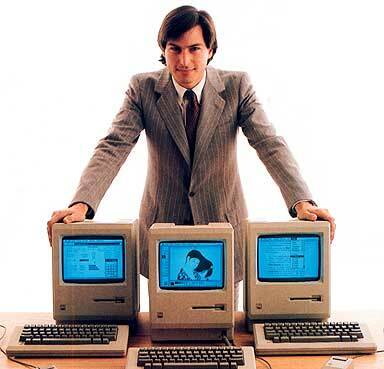 Although Apple co-founder Steve Jobs once said that people don’t read anymore, his upcoming biography by Walter Isaacson includes the titles of some of his favorite books. If you’re like me and you’re curious about what other people are reading, you may want to celebrate National Library Week by asking your colleagues what they’re reading. For the past 15 years at my firm, every spring we’ve sent an email to all employees asking for a list of their two or three favorite books from the past 12 months, with a brief comment about each book. The library compiles the list and publishes it during National Library Week. It’s a good way to encourage reading and talking about books, and to get a glimpse at the interests of our colleagues. After all, it is never too early to think about library week! Apple is releasing its latest iPhone product, the 4s, and with it comes an upgrade to the software on iOS devices. iOS5 will offer an improved notification system, better browser, reminders, right out of the box PC-free usage, a messaging app for communication between other iPhone/iPad users, and about another 200 plus features. What may stand as the biggest offering though is the voice system known as Siri. A pocket assistant that could really revolutionize the way we compute. The algorithms are supposedly so advanced that it can parse natural language and get to the root of inquiries. Setting reminders, sending emails/texts, taking dictation, finding directions or a restaurant, crunching numbers, playing your messages, and pulling weather information are just a few of things Siri can do for you. The potential for library usage remains to be seen. 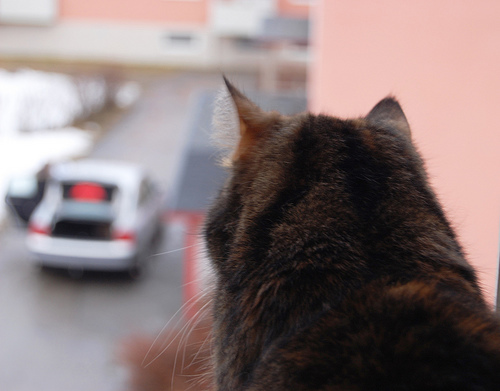 Can Siri search catalogs or Worldcat for a title within the Seattle area? Can Siri pull up a Washington bill from the legislative website? I don’t see Siri compiling a legislative history anytime soon but that’s no reason to think that it may never happen. At the moment, this technology might be just the thing to help us with research requests. As it stands we largely write out our research questions and goals. With Siri we can vocalize our tasks and create lists verbally. The combination of writing and voice could prove useful. Siri has a ways to go before it can help us tackle more complex problems. Yet maybe before we get the chance to enjoy a Siri that tackles big problems, we may be living in fear of self-conscious robots. Today’s service announcement presents the latest legal app to hit iPhones and iPads: HeinOnline. Hein certainly didn’t rush this out and ostensibly waited to release the app until perfected. The screenshots provide a clean and straightforward presentation, as we’d expect on iOS devices. Many users who have trouble with HeinOnline will welcome the easy-to-use layout. HeinOnline.org has stuck to their guns on the Web, running/looking nearly the same as it has for years. Maybe app development will lead to Web changes and broaden their base.